At present, there are over 30 vaccines, although some of them are only available in their country of origin. 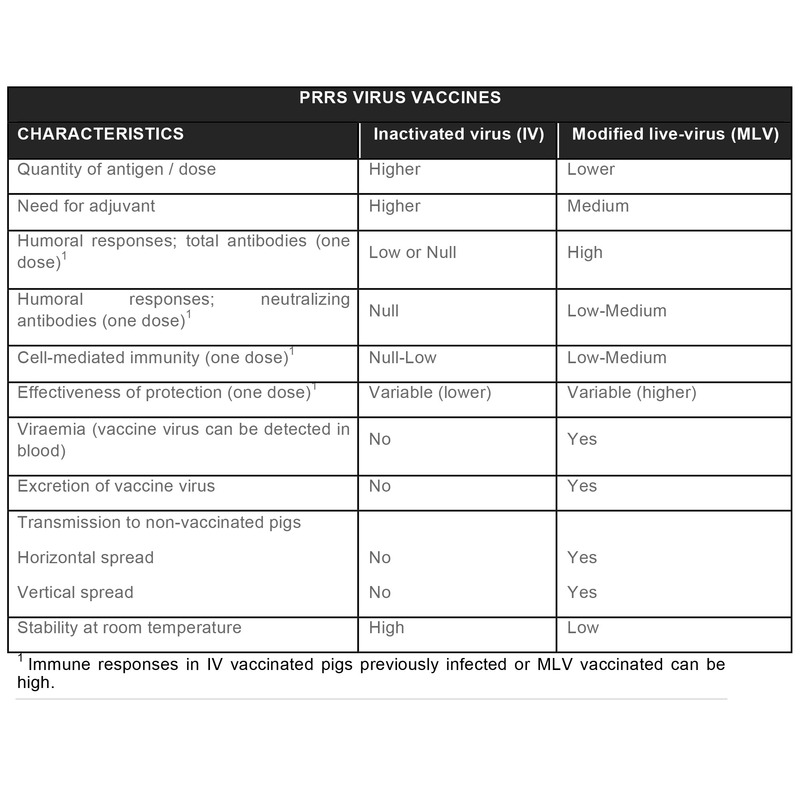 Virtually, all these vaccines are based on live virus (modified live virus, MLV) or inactivated virus (IV), both on PRRSV1 and PRRSV2 – there are only two exceptions based on PRRSV2 subunits -, being MLVs the predominating vaccines used in the field nowadays. Unfortunately, existing vaccines are of unsatisfactory efficacy, since they can not afford a complete and/or universal protection. In general, commercial vaccines offer good virological and clinical protection against a genetically homologous challenge; however, the efficacy against heterologous strains are very variable. Pharmaceutical companies and research institutions devote continuous efforts to develop better vaccines against this virus. However, experimental vaccines -including recombinant vectors expressing viral proteins, DNA and subunit vaccines, to name just a few examples-, have not been able to overcome the immune evasion strategies and the extremely high genetic diversity of PRRS virus; therefore, their best efficacy has been considered as good as live vaccines. 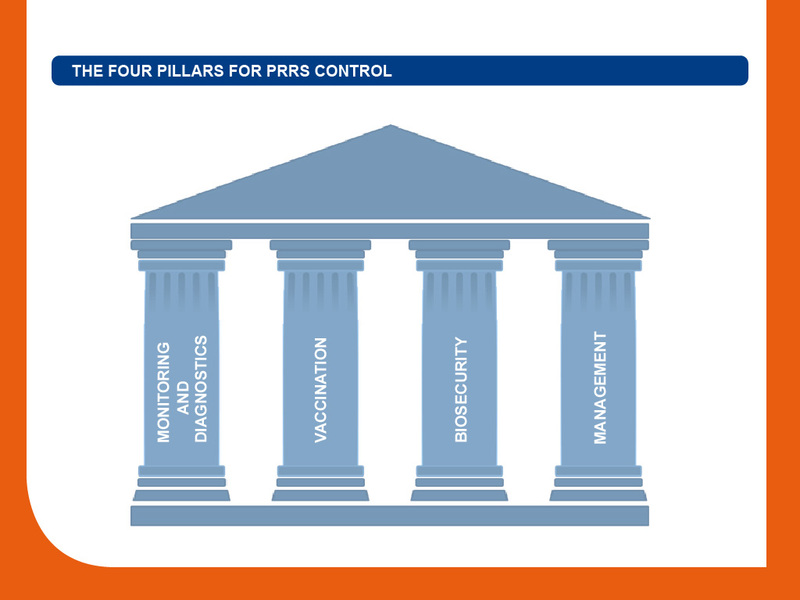 Either in a given farm or in a region, management, biosecurity, monitoring and vaccination are the pillars on which a PRRS control plan must be based. Rapid induction of (long-lasting) immunity. Cross-protection against a wide range of strains, or at least against those strains more prevalent in a region. Low or null excretion and transmission of the virus vaccine. DIVA (Differentiate Infected from Vaccinated Animals), or at least not complicate diagnostic tests.